The Embassy of France in Tehran granted the French Legion of Honour to Gholam-Hossein Amirkhani, a well-known Iranian calligrapher. 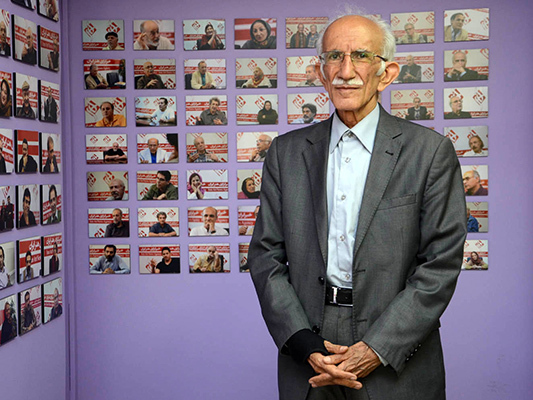 Gholam-Hossein Amirkhani, the Iranian calligrapher who has been working in this field for around 60 years, received the Legion of Honour, the famous French medallion which is given to international artists. “Your name is linked to the Iran Calligraphers Association, the largest Iranian society of art and culture,” François Sénémaud, the ambassador of France to Iran, told Amirkhani while awarding him the Legion of Honour during a ceremony in France’s Embassy in Iran. According to a Farsi report by Shahrvand, Amirkhani, 78, started calligraphy when he was 20. 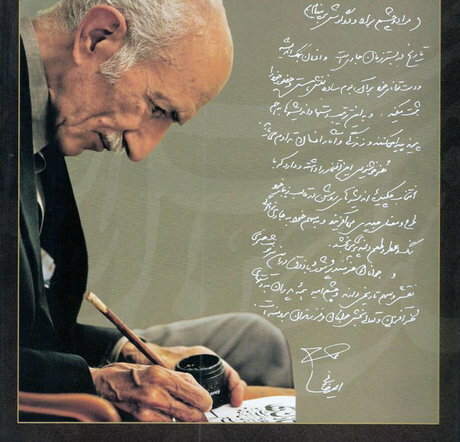 As a member of Iran Calligraphers Association since 1965, he was titled ‘Master of Iranian Calligraphy’ in 1979. He has received the Iranian Order of Culture and Art twice in 1999 and 2009. Amirkhani was also honoured inthe Iranian Science and Culture Hall of Fame ceremony in 2002. Several Iranian artists have earlier received the French Legion of Honour, notably the singers Mohammad-Reza Shajarian and Shahram Nazeri, filmmakers Abbas Kiarostami and Dariush Mehrjui, writer Mahmoud Dowlatabadi, actress Leila Hatami, and graphic designer Kambiz Derambakhsh.